Everybody uses soap in one form or another, but the kind of soap you use can vary considerably. While buying soap isn’t a new concept, for some it is becoming increasingly more important to know exactly what they are putting on their skin. For others it’s just soap, and perhaps they don’t know, don’t want to know or don’t really understand what goes into making a bar of soap. I wanted to write a set of short articles about soap, and why it’s important that we, as consumers, understand what it’s made from and what we’re buying. Although soap sounds like such a simple topic, when you start to research and dissect it you’ll be surprised at how much there is to learn. Over these next couple of articles I will be covering some of the following topics: a brief introduction to the history of detergents; some general information about what most people call soap, which is purchased from your generic supermarket; melt and pour soaps (sometimes called glycerine soaps) that many crafters use; hand-milled soap, re-batching and finally soap that is truly handmade. 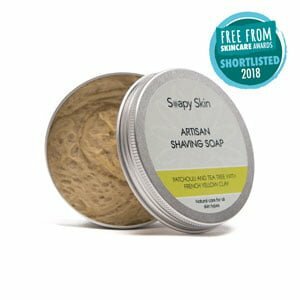 I hope that you will find the information in these articles useful and that it will help you make an informed choice the next time you purchase your soaps. Note to the reader: As you read through these articles I want you to keep one thing at the forefront of your mind: the skin is the largest organ in the human body and it absorbs whatever you put on it. It is our barrier to the outside world, it protects us and helps to keep us healthy, and so what you put on it is extremely important. A BRIEF HISTORY OF DETERGENTS. During the First World War there was a shortage of the fats and oils required to make soap, which prompted the development of alternative cleaning ingredients, commonly known as detergents. The first synthetic detergent was developed in Germany around 1916. These detergents were non-soap washing and cleaning products, which were chemically or synthetically created to produce a variety of raw materials. During the 20’s and 30’s further developments were made, and by the end of the Second World War alkyl aryl sulphonates had overtaken alcohol sulphonates and swamped the detergent market. In 1946 came an important breakthrough in the development of detergents for all-purpose laundry applications, when the first ‘built’ detergent (containing a builder/surfactant combination) was offered in the USA. By 1953 the sale of detergents in the USA had surpassed those of soap, and the detergents had replaced soap-based products for laundry, dishwashing and household cleaning; it is around this time that detergents started to appear in many of the bars and liquids used for personal cleaning. Developments have continued up to the present day, and even now we are still inventing new and different detergents and chemicals that will carry out specific cleaning jobs. Make no mistake though; this is not soap, it is detergent. Trust: it means different things to different people. Every time you wash your hands, take a shower or have a bath you will use something to clean yourself with, this could be a hard soap, liquid soap, shower gel, shampoo etc. When you use one of these products you trust the company that has made it, you trust that they have taken your wellbeing into consideration. This trust is never really questioned because they’re a big company who employ scientists and have lots of money for research, so they must know what’s best for you, right? To legally call a product ‘soap’ it must be predominantly made using a strong alkali (to initiate saponification), a liquid and oils or fats. Commercial bars found in the supermarket are not soap and therefore are not labelled as such; they are in fact detergents made up of mostly or completely synthetic ingredients. 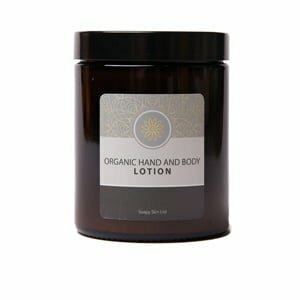 They offer very little in the way of benefit to our skin, and this is why you reach for the hand cream when your skin starts to dry out in the hope that you can make it feel soft and supple again. But this is a vicious circle because the next time you wash with one of these bars the detergents will strip the skin of its oils leaving it dry once more. You may ask yourself, why don’t these commercial producers put something in the bar to stop your hands drying out? Well, one of the by-products of this commercial soap making process is a substance called glycerine. Glycerine is incredibly beneficial to the skin. It is a moisturiser and humectant, so with such a great ingredient why don’t we see the benefit? The simple truth is that the large soap companies remove the glycerine and use it in other products they make (such as hand creams), or it is sold off to other cosmetics manufacturers. Sadly the glycerine is of a higher value to the soap companies than the bar itself. Now and again a bar will come along that does contain natural ingredients (such as shea butter), which leads the consumer into thinking that they are getting a great product. The reality is that these ingredients are added in such small quantities that there is very little benefit, the companies add just enough so that they can legally put it on the list of ingredients. The product you buy will still contain a high amount of synthetic ingredients to keep the costs down. Below is the list of ingredients from a ‘Dove’ beauty cream bar (note the absence of the word soap). 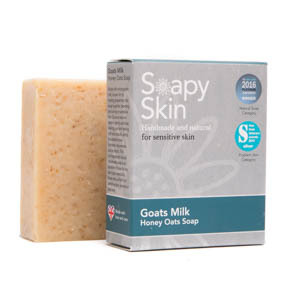 Most consumers are lead to believe that what they are buying is a mild and gentle bar of soap that is kind to the skin. Gentle enough to be used on anyone including babies. Next to each ingredient is a brief description of what it is or what it does. Stearic Acid – Hardener and stabiliser. Lauric Acid – Hardener, cleanser and surfactant. Found naturally in coconut oil and palm oil. Large amounts can dry the skin. Cocamidopropyl Betaine – Surfactant. Can cause irritation for some skin types if not formulated to be non-sensitising. Zinc Oxide – Bulking agent and colourant. Adds a smooth feel to the product. Alpha-Isomethyl Lonone – A synthetic fragrance compound. The International Fragrance Association (IFRA) standard restricts its use in fragrances because of potential sensitisation. Benzyl Alcohol – Perfume ingredient. May cause irritation to the eye area. Butylphenyl Methylpropional – A synthetic fragrance compound with a powerful floral fresh odour. The International Fragrance Association (IFRA) standard restricts its use in fragrances because of potential sensitisation. In Europe it is included on the list of “allergic” substances. The manufacture must show it on the ingredients list if its concentration is above 0.01%. Citronellol – May be synthetic or a natural component of essential oil. Coumarin – May be synthetic or a natural component of essential oil. Hexyl Cinnamal – Synthetic perfume ingredient that imitates chammomile. Limonene– May be synthetic or a natural component of essential oil. Linalool– May be synthetic or a natural component of essential oil. CI 77891 – Titanium Dioxide. Colourant. Used in paint. So, as you can see from the above ingredients list, there are a lot of chemicals going into this bar, and its one of the better ones available from the commercial producers. Sodium Lauryl Sulfate (SLS) – SLS is a emulsifier and foaming agent commonly used in cosmetic products and industrial cleaners. SLS is present in most body washes, soaps, shampoos, toothpastes and laundry detergent. According to Mercola.com, although SLS is derived from coconuts, it is contaminated with a toxic by-product during the manufacturing process. SLS may also be listed as sodium dodecyl sulfate, sulfuric acid, monododecyl ester, sodium salt, sodium salt sulfuric acid, sodium dodecyl sulfate, aquarex me or aquarex methyl, reports the EWG. Related chemicals include sodium laureth sulfate, or SLES, which has a higher foaming ability and is slightly less irritating than SLS, according to Mercola.com. Ammonium lauryl sulfate, or ALS, is similar to SLS and poses similar risks. Propylene Glycol – Propylene glycol is found in many industrial and commercial products, including antifreeze, liquid laundry detergent solvents and paint. It is an additive in human and pet foods, pharmaceuticals and tobacco processing. The side effects of this common product include irritation and sensitivity to the eyes, skin and mucous membranes, according to the Scholar Chemistry Material Safety Data Sheet. Although, propylene glycol is found in shampoos, deodorants, skin care lotions and room deodorizers. Normal use of these products is not dangerous or toxic to the skin or airways. However, prolonged or excessive application can cause redness and itching to sensitive skin. Mineral Oil – Many skin lotions, creams and oils contain mineral oil, as do many tanning products. Mineral oil is actually a derivative of petroleum, and as such is not environmentally friendly. 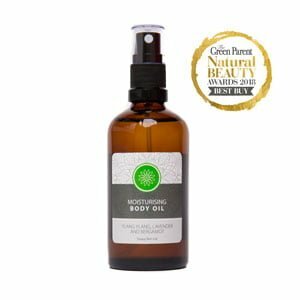 It is a viscous liquid, and so many products use mineral oil as the main ingredient, as it allows the lotion to be spread easily across your skin. This is despite the fact that it has been suggested that it is carcinogen! Many of these ingredients can irritate your skin, and cause rashes, even those without sensitive skin can find that it is left dry, tight and itchy. If you do decide to buy one of these products please take the time to read the label, so that you know exactly what’s going on to your skin. This article will conclude in our next newsletter. If you have found this article useful or informative, then please share it with your friends. The more people who understand what goes into these commercial bars and how they may effect the skin can only be a good thing as far as I’m concerned.